Blazé Milano - Founded by three former fashion editors, Blazé Milano has dignity and elegance at the core of its aesthetic. 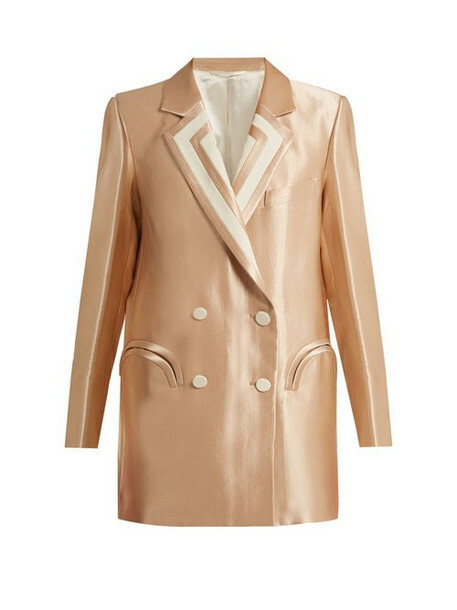 This rose-gold Orianda blazer is crafted in Italy to a sophisticated double-breasted silhouette. It features striped peak lapels and three pockets - one at the chest and two at the front designed to resemble the curve of a smile. Enhance the refined effect by slipping it on over a silk cami with wide-leg trousers.